Description : Hubbuzz is an apartment search by neighborhood website. In addition to finding apartments, users can search neighborhood profiles, photos, interactive maps and user generated blogs and events. 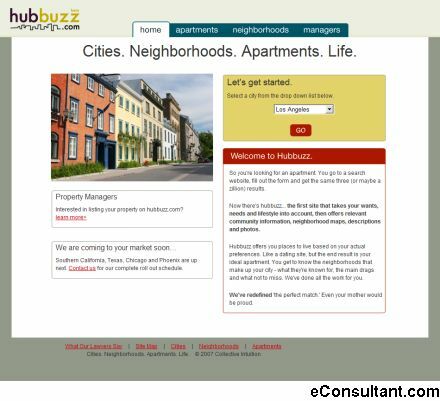 Hubbuzz is an apartment site that incorporates extensive neighborhood information and user generated blogs and comments from anyone in the community.